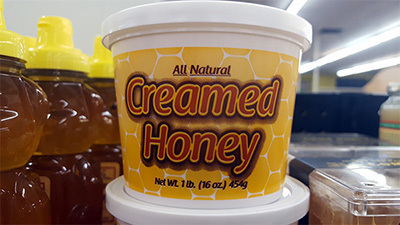 We carry local honey from Koehler's Honey Bee Farm in Beloit! Many longtime members of our community have fond memories of the beehive located in the Basics store on Memorial Drive! That hive was introduced and cared for by Basics’ very own beekeeper, Wally Brown. Wally supplied honey to Basics from the store’s early days more than 35 years ago, all the way to 2014. What many don't know, is that the local honey now sold at Basics is the product of Mike & Robyn Koehler’s guidance and effort, using all the same Bee yards that Wally used, the same equipment and the same techniques! Available in bulk or packages.